Uptodown apps and software download for smartphone and PC recently launch an official APK app to search and download apps for Android users. Uptodown apps store is an alternative to Google play store to download apps and games for free without rooting Android device. The Uptodown APK app can now be installed directly on Android phone in other not to bother using the app store official website to search and download apps for iOS, Android, and software for both Windows and Mac OS. Using the Uptodown APK app does not require a registration fee and account creation to download and install popular apps, both paid and free like play store. With over 12,000 APK apps and tons of games available on Uptodown website, you can have direct access to all the games and apps with Uptodown APK app on your Android phone. Apart from downloading and installing APK files on Android device with Uptodown official APK app, the APK app also detects XAPKs with additional OBB files. Retiring the fact that play store app is popular, reliable, and virus-free apps app and website for Android users. However, people hate paying for apps they can download the APK version with similar or better features. While the Uptodown app promising unending features it worth comparing with Google play store to search and download apps. The app makes apps and games restore on Android device when formatted without a backup just like play store app via a selecting feature to select which apps to re-install and which not to. In the same wise, with the APK downloader app, you will also be able to update APK app directly from the APK app source rather than downloading the app again which is the same as the play store app update feature. Uptodown for Android app has much more features like the play store such as a single click to install apps directly from the APK app, uninstall installed APK apps installed using the app from within the app, app management, and provide full access to apps catalog. A notable feature of Uptodown Android app is the feature to download and install an OBS app automatically. It’s not an easy task downloading and installing apps whose size is more than a 100MB on Android device and directly from play store. This will require you to manually copy some files to another location to complete the installation and make the OBS app work perfectly. However, Uptodown APK developer knows about these difficulties and put it under control adding a feature to install OBS files on Android directly without manual action. This will be done automatically with the Uptodown app and the app or game will function as expected. Google is so smart that it makes it difficult to download and install apps that are not available in the play store. However, the feature to install apps from third-party websites or apps requires users to enable install from unknown source. This, however, lets you install APK apps and APK apps downloader like Uptodown app V3.39. To enable install from unknown sources on your Android follow these procedures. After the above procedures, you are now ready to install the Uptodown app to start downloading APK apps directly on your Android. 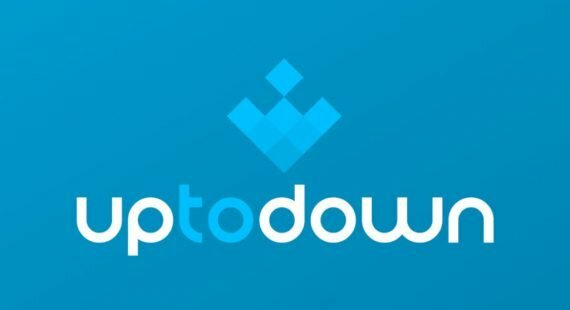 Here you can download and install the latest 2018 Uptodown app version. Having downloaded the latest app then, follow the procedure below to install the app on your device. Once the app has been successfully installed the Uptodown app icon will be added to your phone apps icons. How long have you been using Uptodown APK app to download, install, manage, and update APK apps on your Android? Do you see this app as Google play store’s competitor?